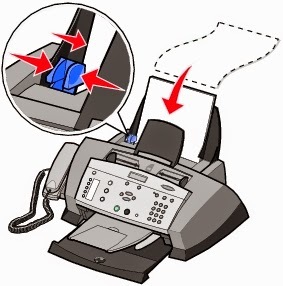 If you have a Lexmark printer and sends print this when presented with printing, but nothing appears on the paper, follow the directions below. Lexmark printers are accurate and good quality, this printer manufacturer only dedicated to this area of computing, so bent all his energy this work. Their printers have software that tells us when the print has begun and what the printing process, it is expected that when the printing process has begun likewise start out the site, although in some cases it is not, and there are many reasons why it is not, then we will count the possible cases that arise when the printer is printing but says it does not. The more latent cause is that the ink cartridge is empty, since estimates of the ink levels in Lexmark printers can vary with reality in the cartridges. You may think that the cartridge still has ink, but is not, and the printer is printing but does not write anything. When this happens we have to be very careful and do everything possible to change the cartridge or refill. Another factor that causes this case Lexmark printers is that the pages stay stuck on the sides in the inbox, these are counted in both the top and bottom front of the printer, depending on what our model. You should list the cartridges correctly, the cartridges must make direct contact with the connectors on the printer, check if these are dirty, either ink or other residue that does not allow transferring information. If the printer is paused when we send print shows no error, but can not print, it will do nothing and the status message are printing documents appears. It may be necessary that we close a large part of the programs we are using, if the computer is slow is possible that when printing is not able to process the information and take longer than normal to get the document to the printer. Finally make a check printer software, it may be that this configuration causing problems.